Clicking between chats can get a little tiring after a while. You have to reach for your mouse, select another chat and then go back to typing. Imagine doing that every 10-15 seconds for 4-5 hours. It adds up to about one episode of “Friends” spent just on moving your mouse each day! This is where LiveChat shortcuts come into play. Using shortcuts to save time is one of the most popular and effective methods out there. I bet you already use plenty of them in you day-to-day work. Why not do the same when chatting with customers over LiveChat? Let’s say you are using the web app and you’ve just received a new chat. 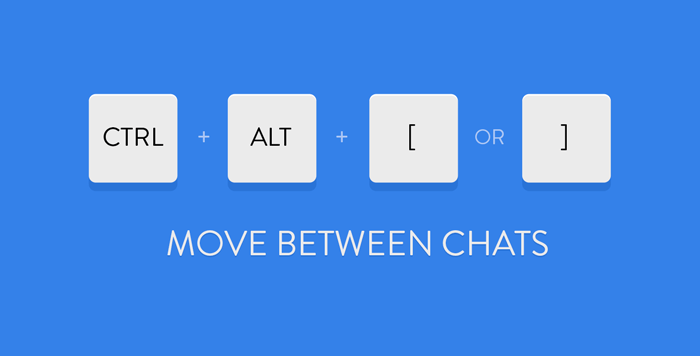 Instead of moving your hand to your mouse for the umpteenth time, switch to the chat by pressing Ctrl + Alt + ]. After you respond, get back to the previous chat using Ctrl + Alt + [. It’s that simple. When you start using LiveChat shortcuts on a larger scale, you won’t even have to move your hands off the keyboard. You will be able to navigate the chats easily without having to use the mouse. Combine LiveChat shortcuts and the shortcuts from other applications you use and suddenly you turn into this chatting machine, like something straight out of a sci-fi movie. Here’s a complete LiveChat shortcuts cheatsheet for our applications. Pin it next to your monitor, share it with your colleagues and make sure to use it. 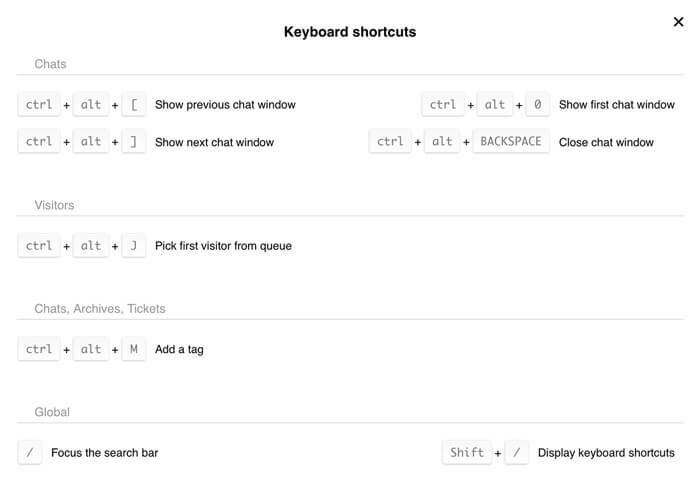 Which LiveChat shortcuts you use the most? Would you like to see more of them added? Leave a comment with your opinion below! If you really need a particular shortcut, there’s a good chance that other agents need it too and we could implement it in the future.